You guys! 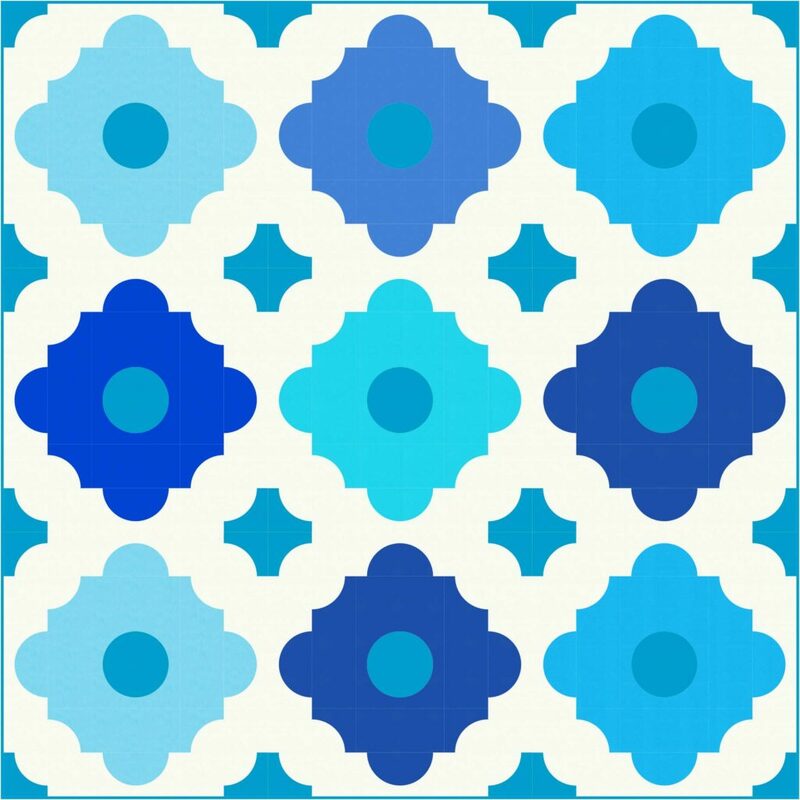 Today is the day for the Moroccan Tiles Quilt Pattern release!!! 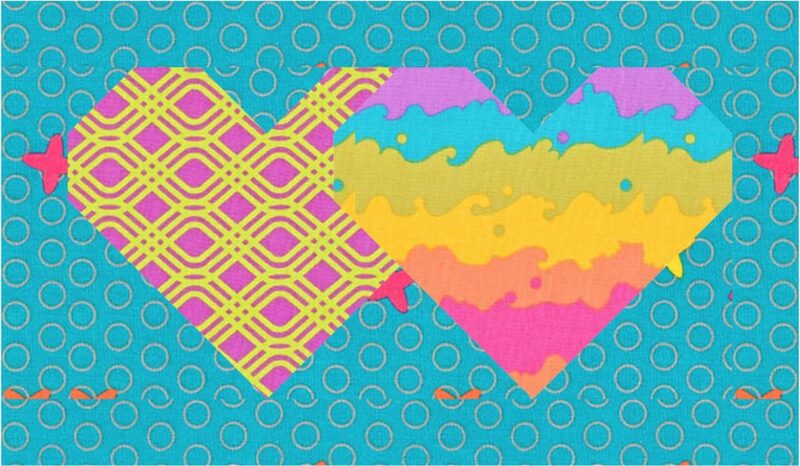 I don’t know if I’ve ever been as excited about a quilt pattern as I am about this one. I’m hoping to have all the beds in our house decked out with this quilt be the end of the year! Check out some of my favorite color ways! 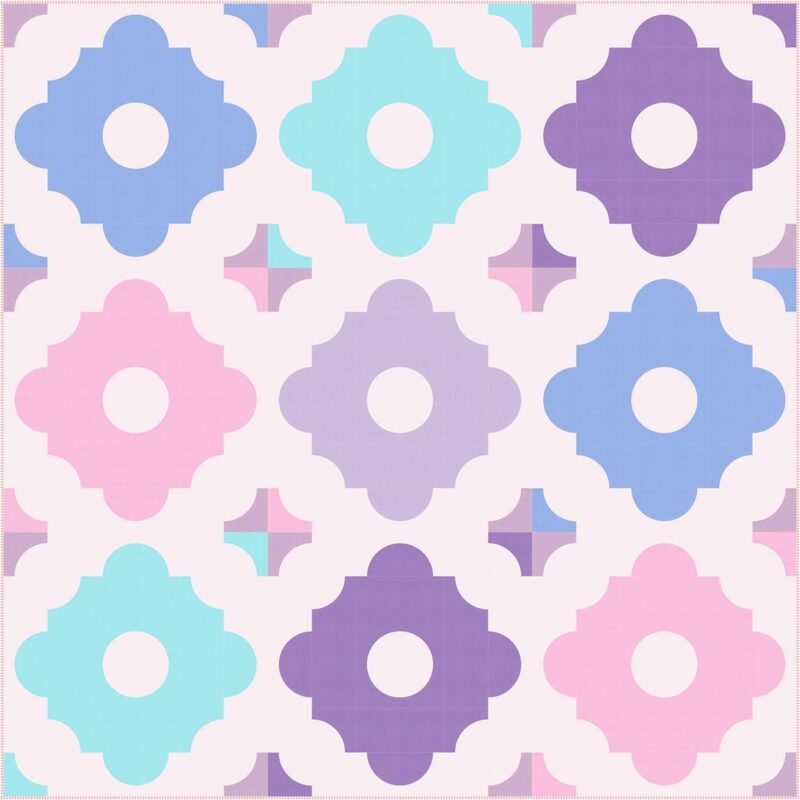 I designed this quilt when I was pregnant with our little girl, Gemma. It’s been a labor of love for me and I can’t even tell you how many colorways I went through. Sometimes I dream that there are 40 hours in a day so I could make each and every one (hey, I can dream, right?). 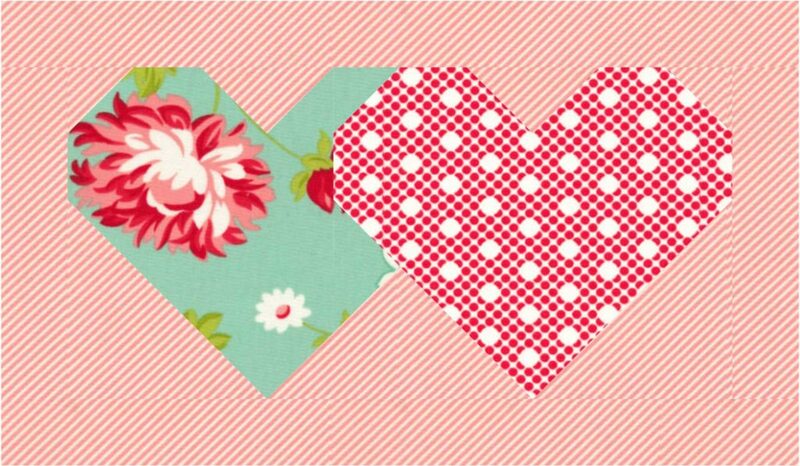 And then I’ve got a couple of other videos to help you with the basics of sewing curves. If you click on the first video in this post, it will link to the entire playlist and show you all 5 videos that accompany this pattern. I think you’ll find them very helpful, and if you still have questions, you can always ask! 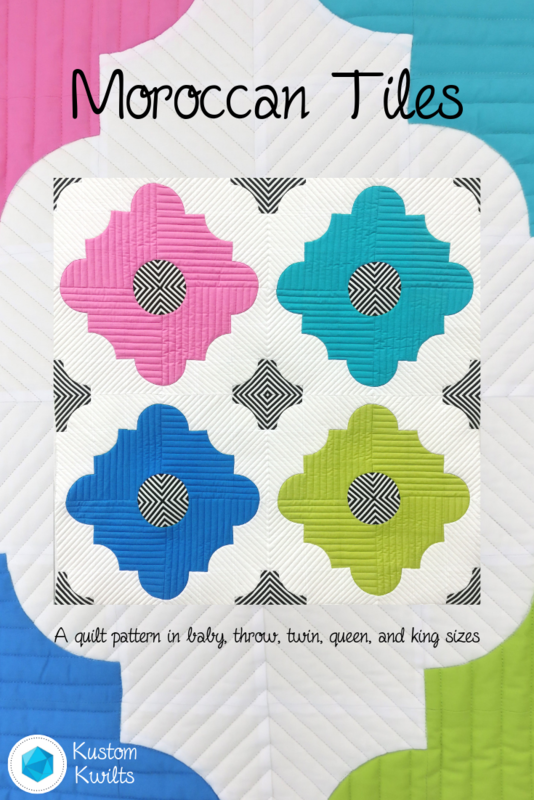 This is a bonus post to announce the grand prize winner of the Cheeky Churn Dash Quilt Along! First–I’m so excited to see so many people finish their Cheeky Churn Dashes! 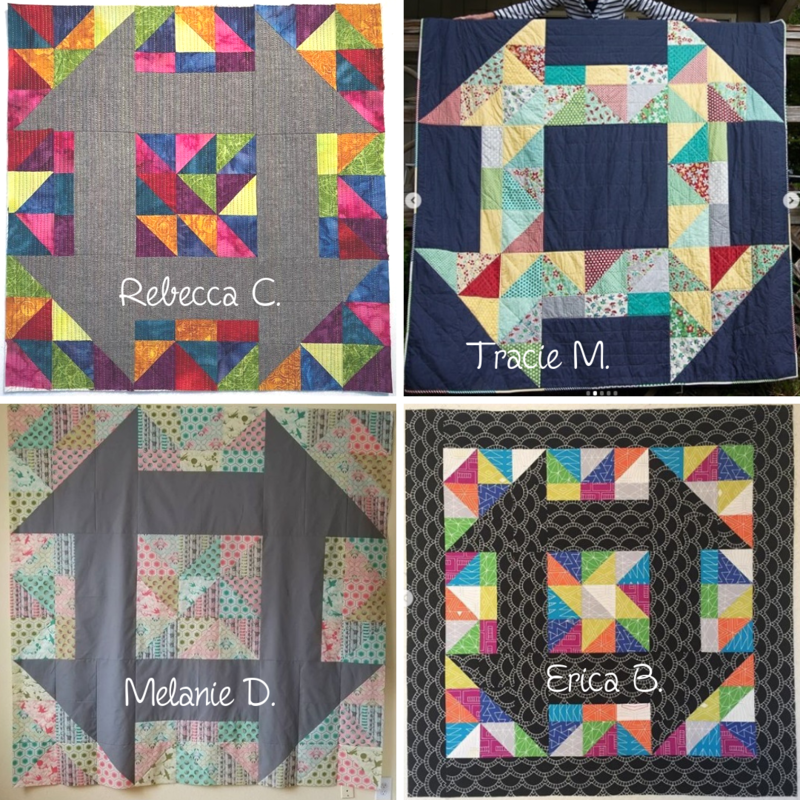 Thank you for choosing this pattern and quilt along to participate in–I loved getting to see each quilt come together and the different personalities behind them. You are amazing for pushing on and finishing, especially at a time of year when there is so much going on. This post is going up a little later than usual…my husband lost his grandpa a couple of weeks ago, and my dad had a major health issue that scared us all. It’s been a hectic couple of weeks. I know how things can come up to delay projects, and I so appreciate your persistence to finish! 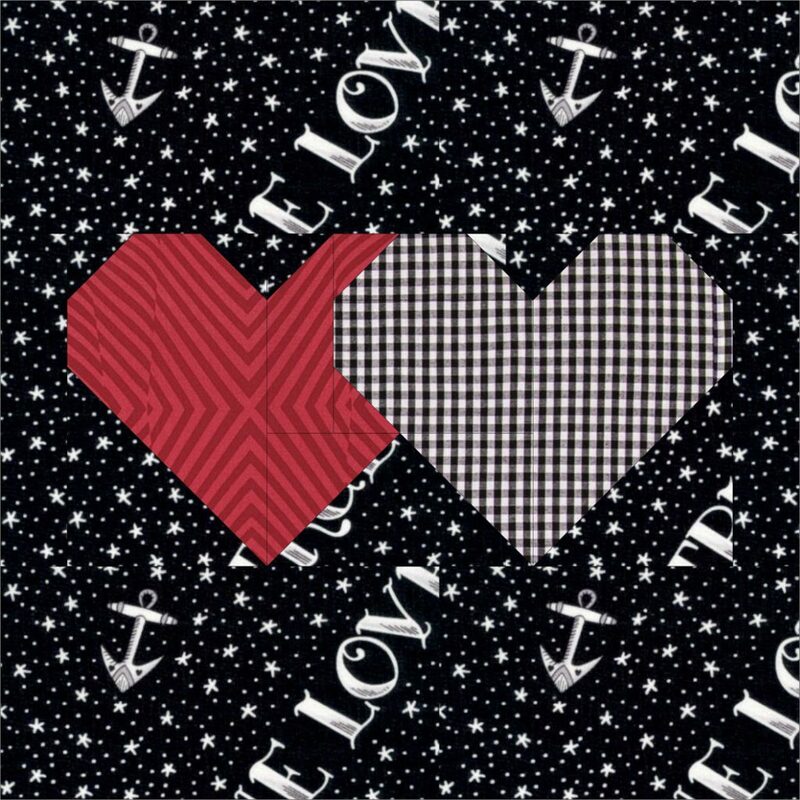 Thank you for joining in and letting me see your creativity and amazingness!! Head over to the Original QAL Post to review the details and schedule, if you need to. 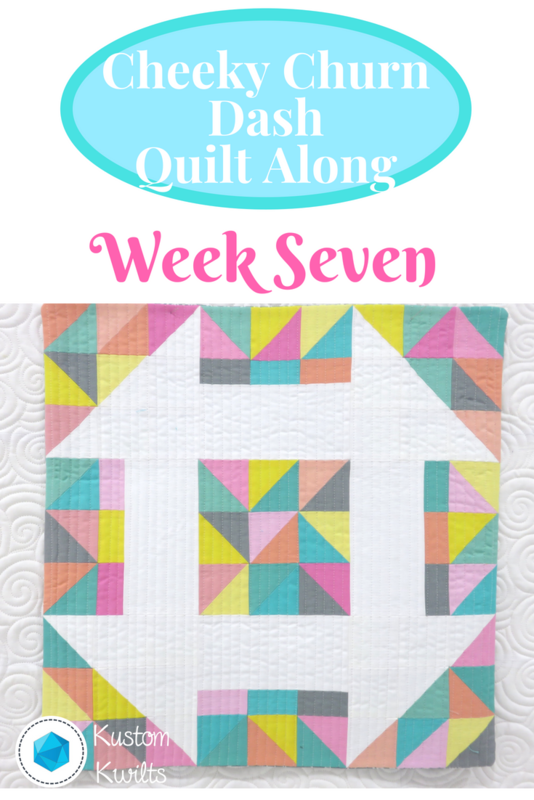 The Quilt Along was a lot more fun with weekly prizes and awesome giveaways to look forward to. 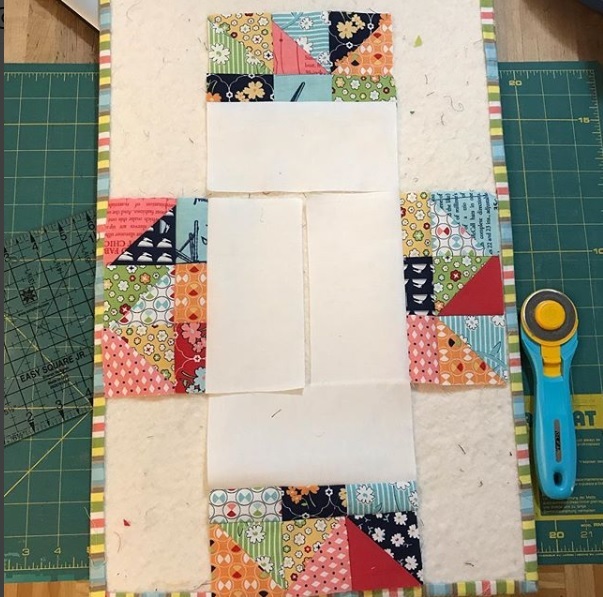 Thank you for your generosity Aurifil, Crafter’s Companion, Knotted Thread, Olfa, Quilter’s Dream Batting, and The Quilter’s Planner! 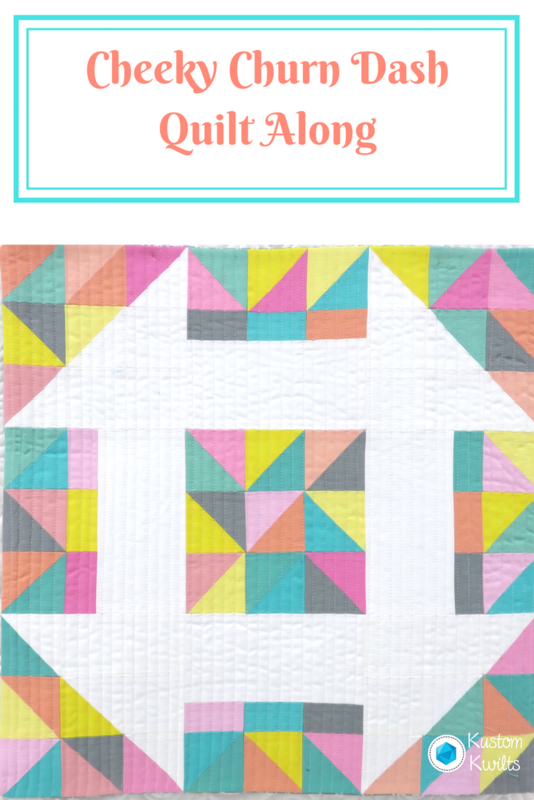 And I’m super excited to share some of the finished Cheeky Churn Dash quilts tops with you from the quilt along! 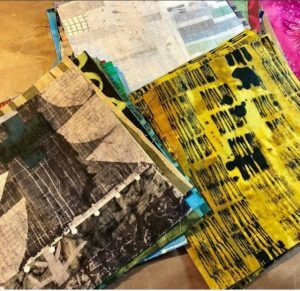 Each picture is from the creator’s Instagram account from the final week of the Quilt Along, and each maker has been credited with their first name and last initial on their photo. 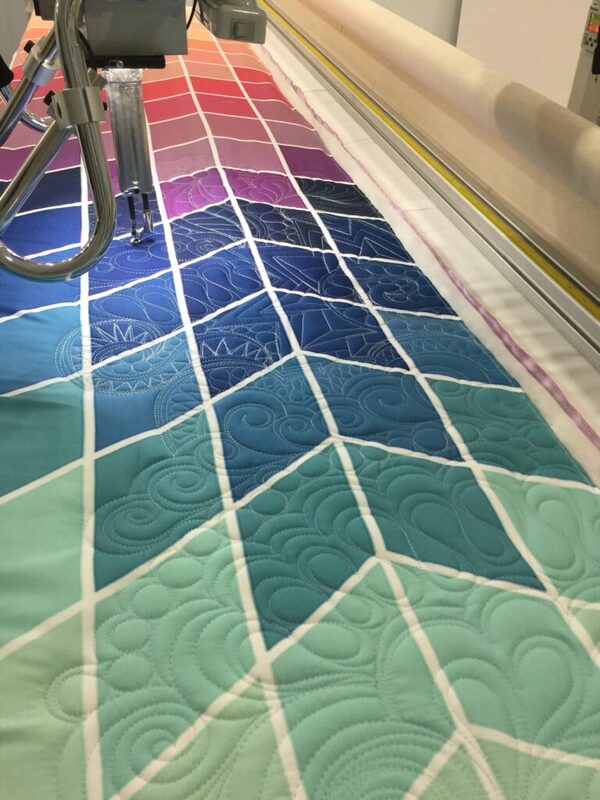 Check out the creativity and unique colors in each quilt! Some of the quilt along participants even have their minis and quilts quilted and bound already. 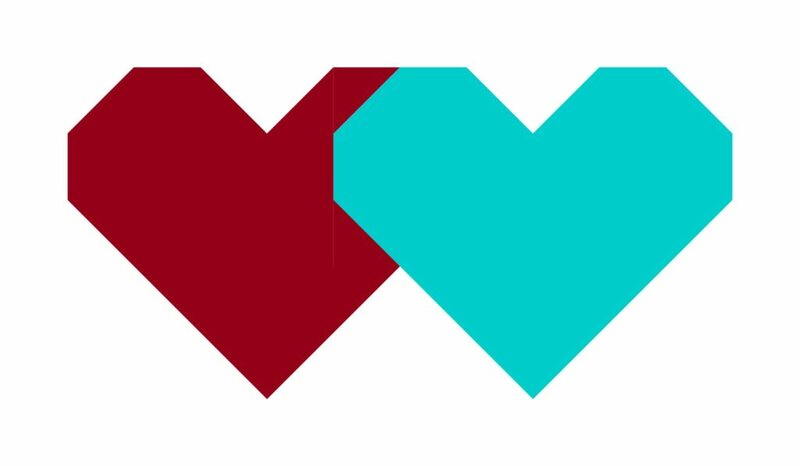 Week Six – Catch Up! 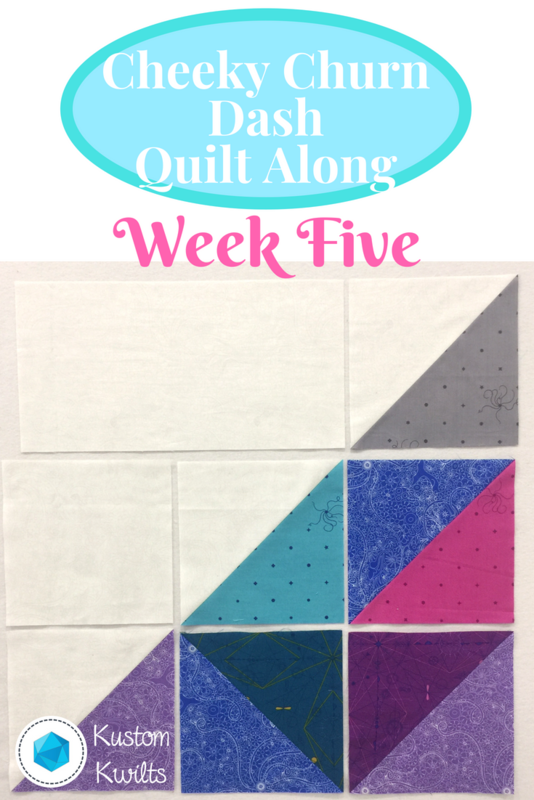 Week Nine – Sew together the quilt top and finish! 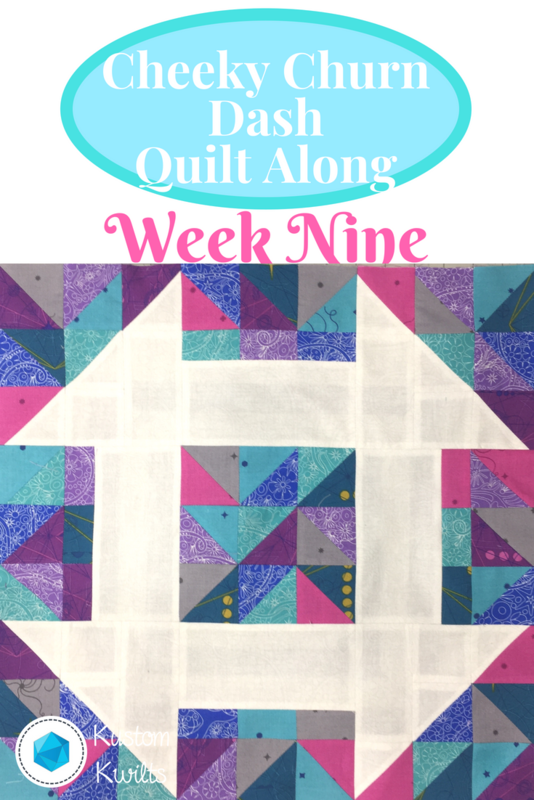 We’re moving right along into Week Nine of the Cheeky Churn Dash Quilt Along! This is it–the final week. 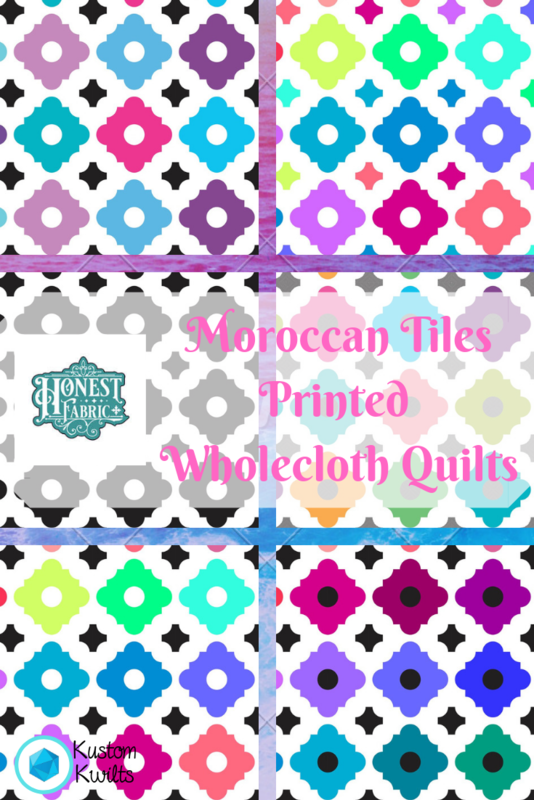 Head over to the Original QAL Post to review the details and schedule, if you need to. 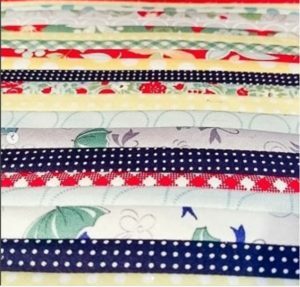 Jennifer at Knotted Threads on Etsy has joined in the Quilt Along fun to bring all Cheeky Churn Dash QAL participants a 10% discount on fabrics purchased from her shop! 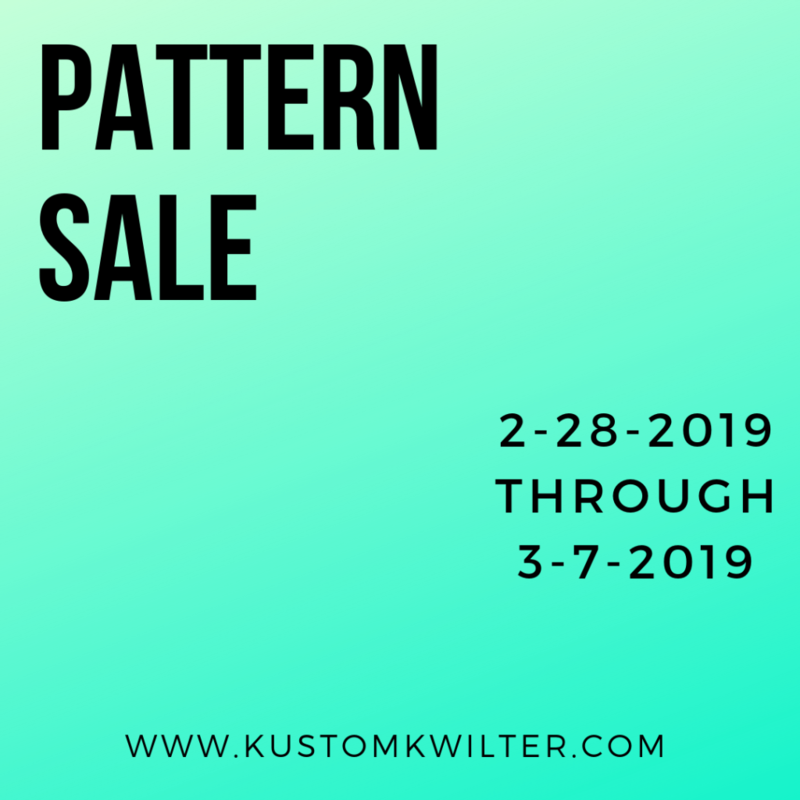 She has a great selection of current and modern fabrics, so you’ll want to take advantage of this Use the coupon code: CHEEKYCHURNDASH at checkout. 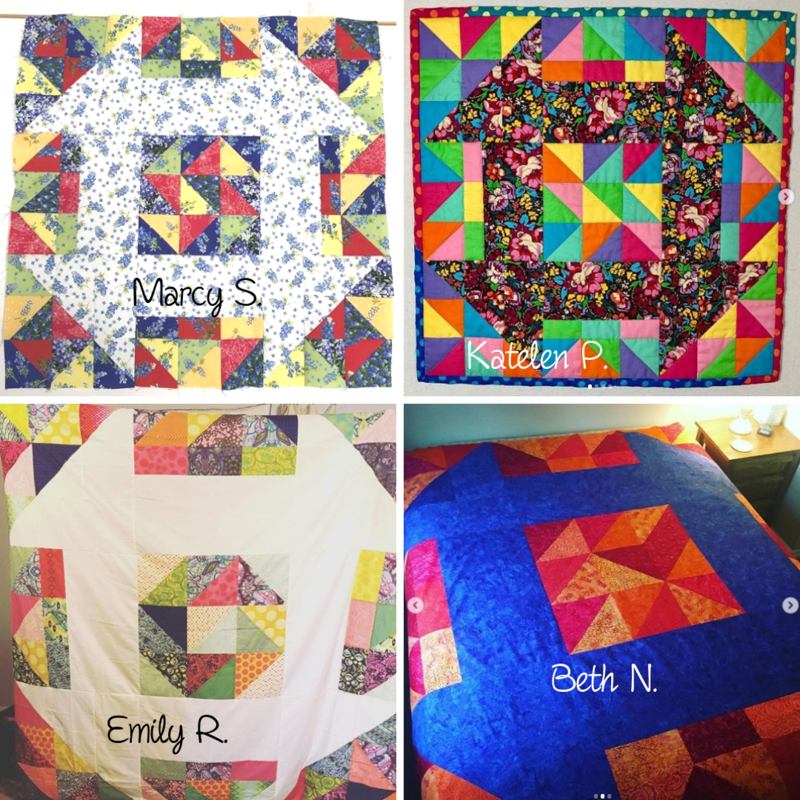 Now’s the time to buy your quilt backs! In Week Eight, we assembled section 5. Here’s the action list to complete for Week Nine! Option A instructions can be found on pages 14-15 and Option B instructions can be found on page 22 in your pattern. You caught me again–I cheated on the photos this week and used the mini (Option B). It’s so much easier to photograph the mini/pillow Option B than it is the large quilt option. 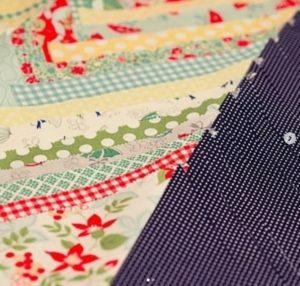 Take a look at your coloring sheet–and lay out your sections prior to pinning and sewing them together. 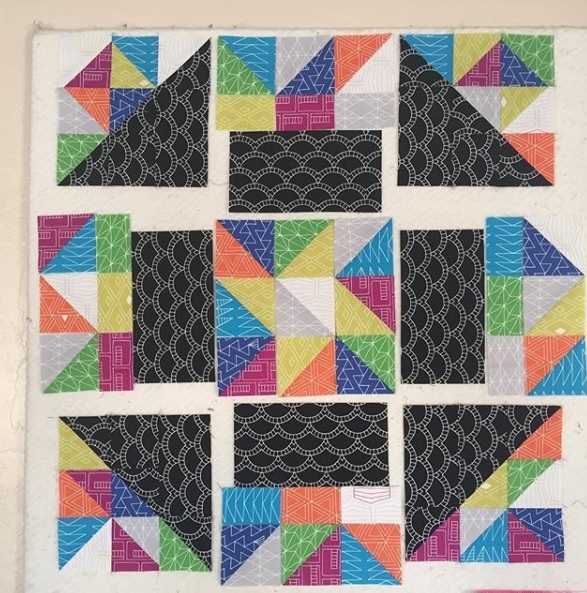 The whole quilt is basically a large nine patch block. 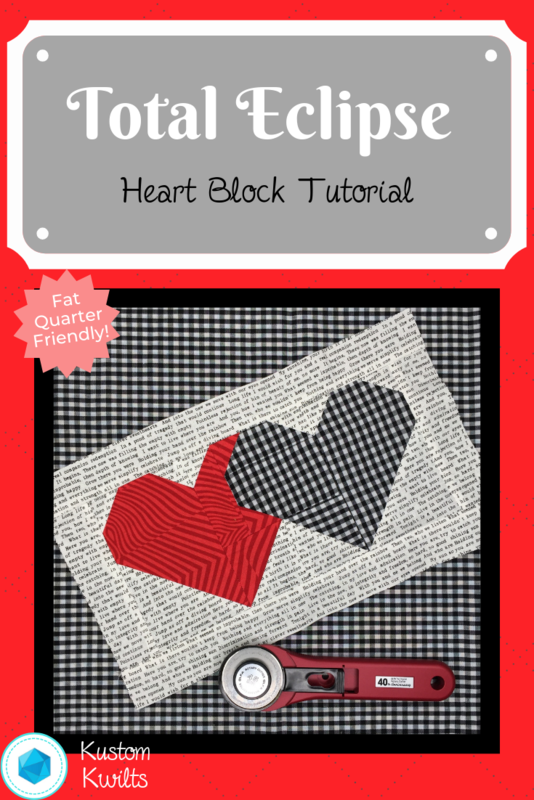 So you’ll sew three rows of three sections together, then sew those rows together to complete the quilt top. Make sure you check that you pin at your seam intersections whenever you have a seam intersection so everything lines up as it should. 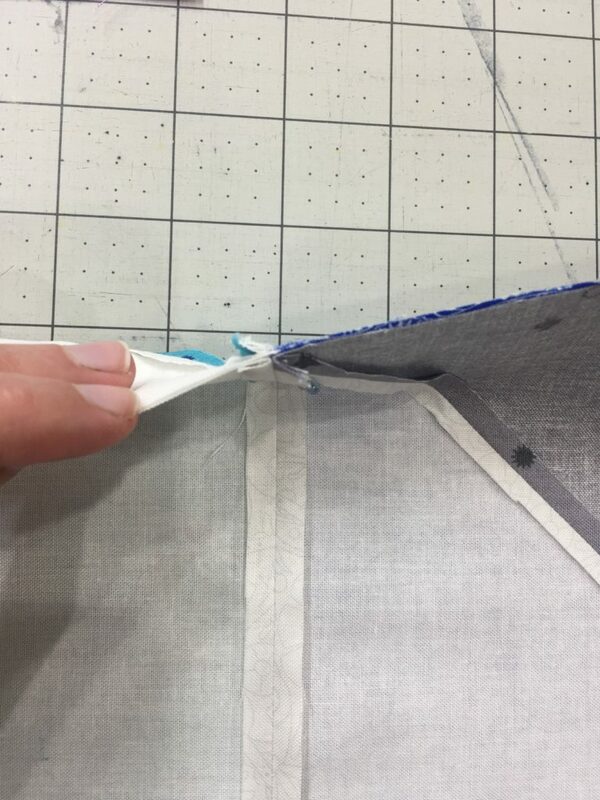 The only really tricky thing to sewing the top together is keeping your sections straight. I like to label my sections with a little post it note pinned to each one and numbered. It just keeps me from pulling my hair out later when I accidentally grab the wrong one. 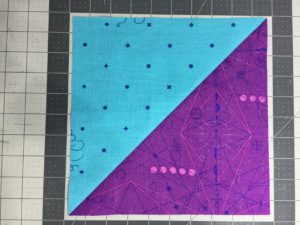 Double check your layout prior to sewing each section together, and press when you’re done! 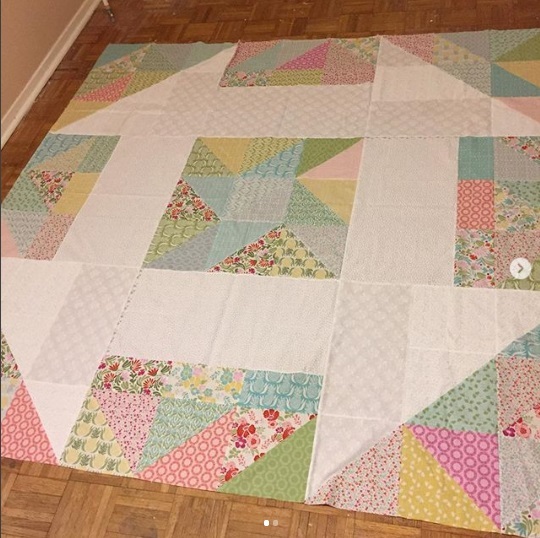 This week, post a picture of your completed quilt top on Instagram using the #cheekychurndashquiltalong hashtag. Be sure you post your IG picture with the hashtag by midnight on November 16 to qualify for this week’s prize! 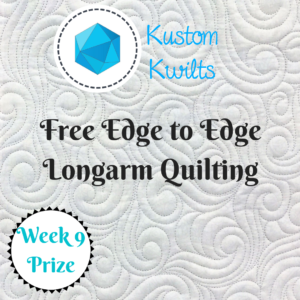 This is the grand prize for the QAL-free edge to edge longarm quilting, so you’ll really want to make sure you post this week. Refer back to the prize roundup for more details. 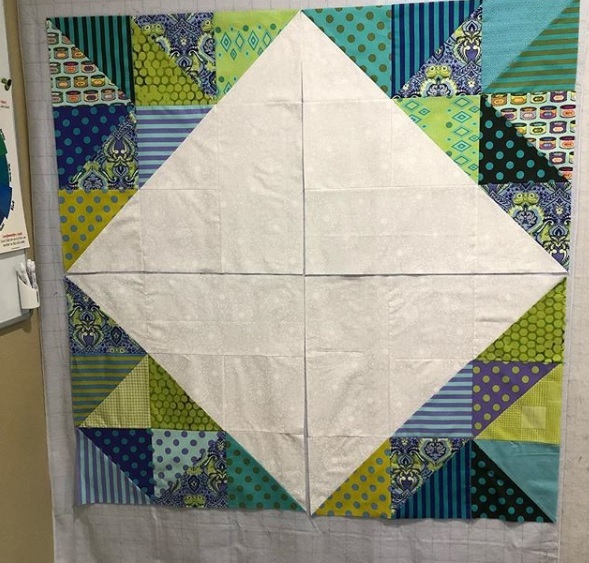 Even if you missed posting earlier in the quilt along, you can still qualify as long as you post this week with a finished top (must be the 81″ quilt size). We’re moving right along into Week Eight of the Cheeky Churn Dash Quilt Along! Head over to the Original QAL Post to review the details and schedule, if you need to. In Week Seven, we assembled sections 2, 4, 6, and 8. Here’s the action list to complete for Week Eight! If you’re on Option A–you’ve got another rest week. Your section 5 is already in one piece. Option B can be found on page 22 in your pattern this week. 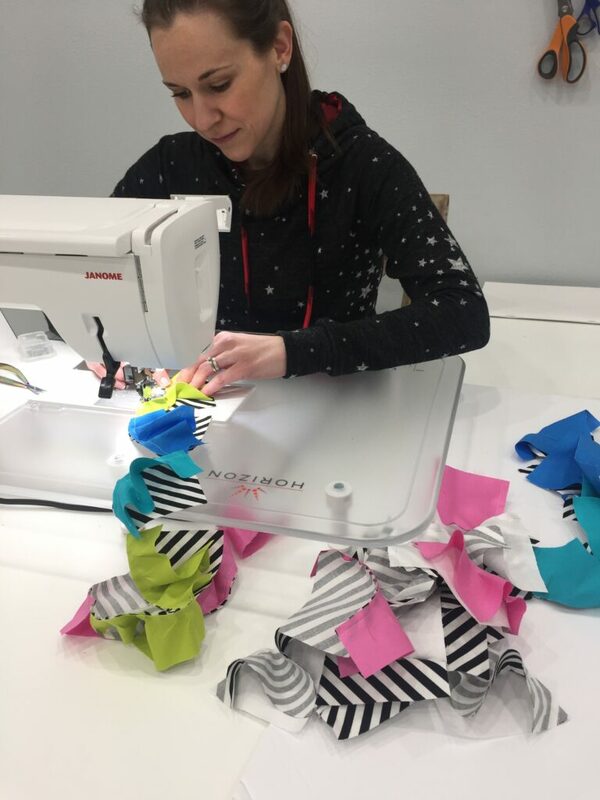 Take a look at your coloring sheet–and lay out your pieces prior to pinning and sewing the sections together. Section 5 is basically a large nine patch block. 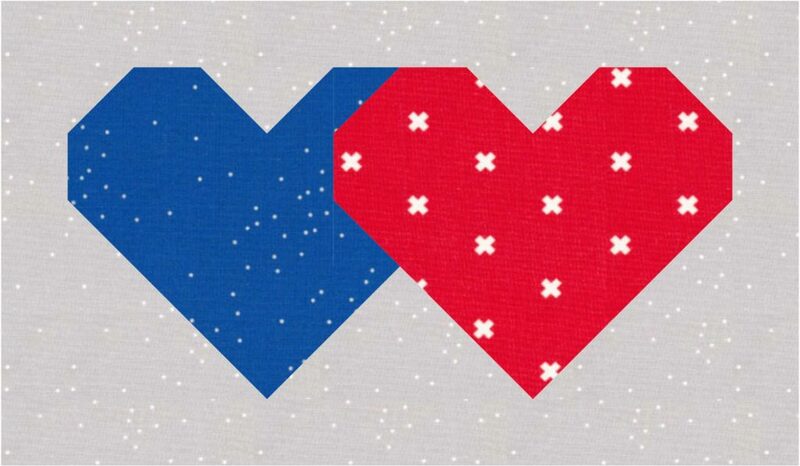 So you’ll sew three rows of three HSTs together, then sew those rows together to complete section 5. 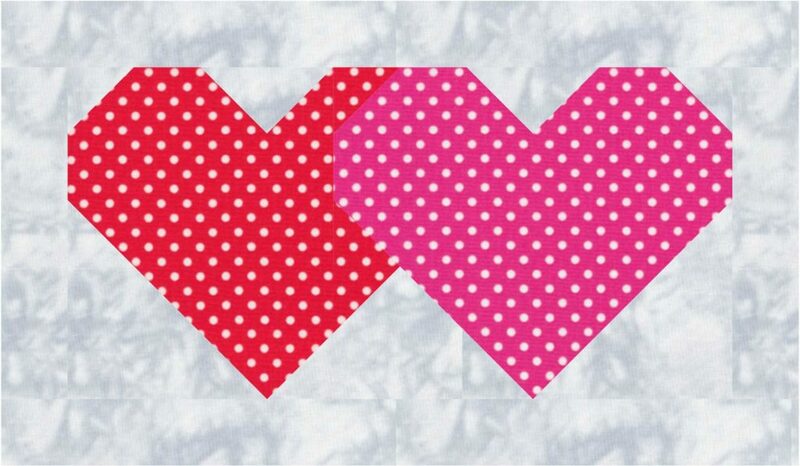 The only really tricky thing to sewing section 5 together is watching the direction of the diagonal in each HST block. 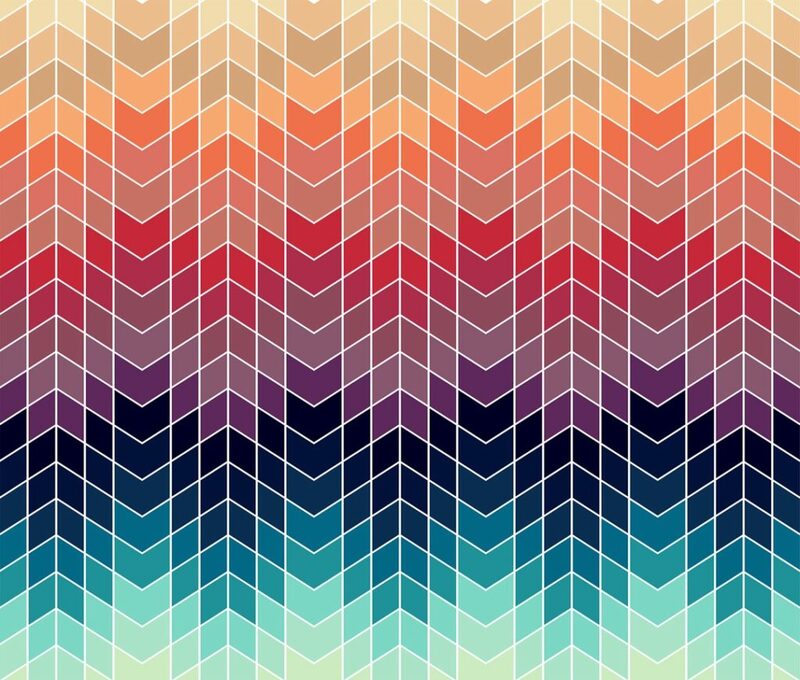 Honestly, if you don’t follow the pattern layout 100%, it will still look great, and no one will be the wiser that you didn’t! 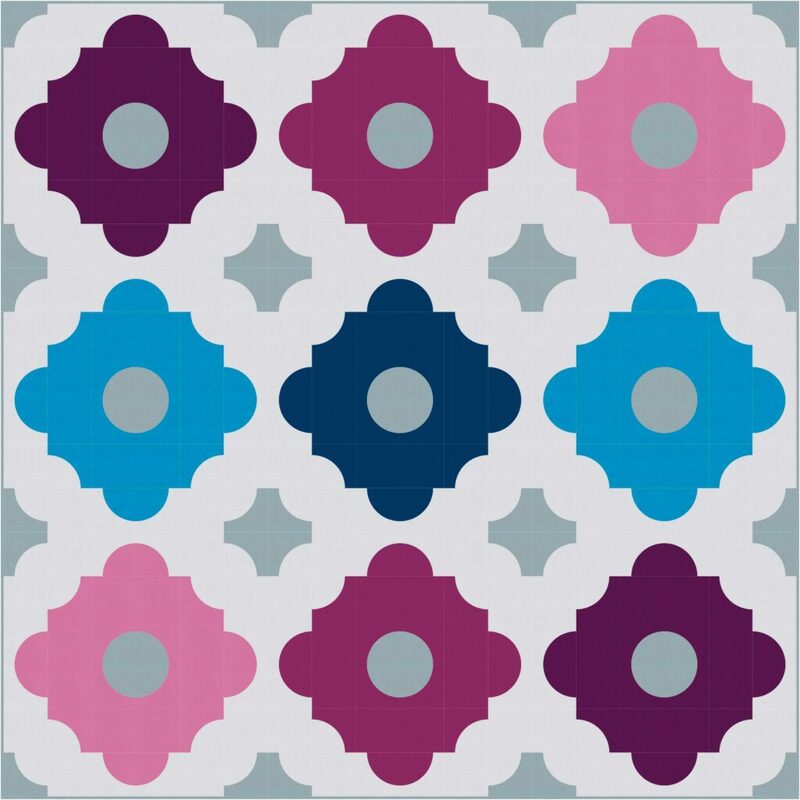 This week, post a picture of your completed section 5 on Instagram using the #cheekychurndashquiltalong hashtag. It doesn’t matter if your completed section 5 is for Option A or B, just post a quick pic and be sure you post your IG picture with the hashtag before the start of Week Nine to qualify for this week’s prize! 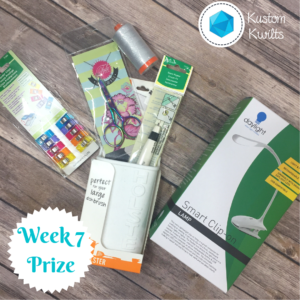 Week Eight’s prize is a Double Sized Batting of your choice (meaning you can pick any of the substrates their batting comes in-cotton, wool, blend, poly, etc.) sponsored by Quilter’s Dream Batting! 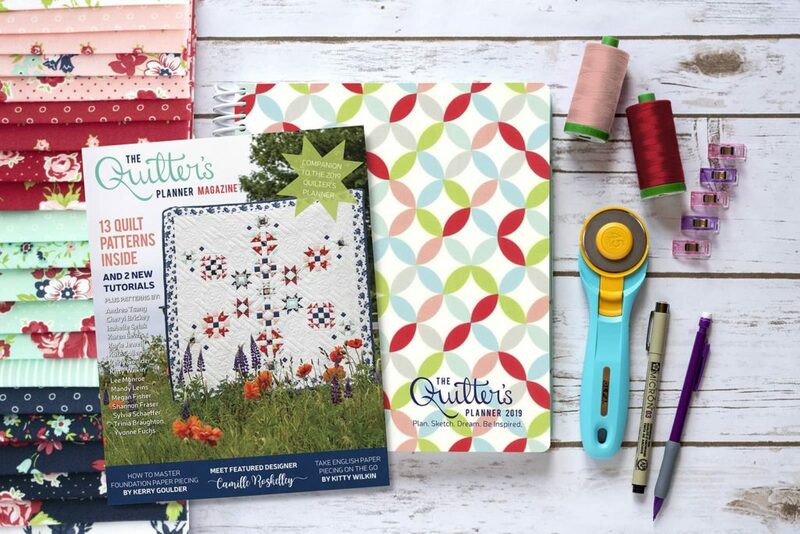 The amazing folks at Quilter’s Dream are so awesome to be giving this away–I use their batting exclusively in my studio, and it’s absolutely the best. 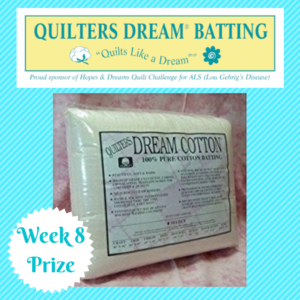 A huge thank you to Quilter’s Dream for sponsoring Week Eight’s prize! 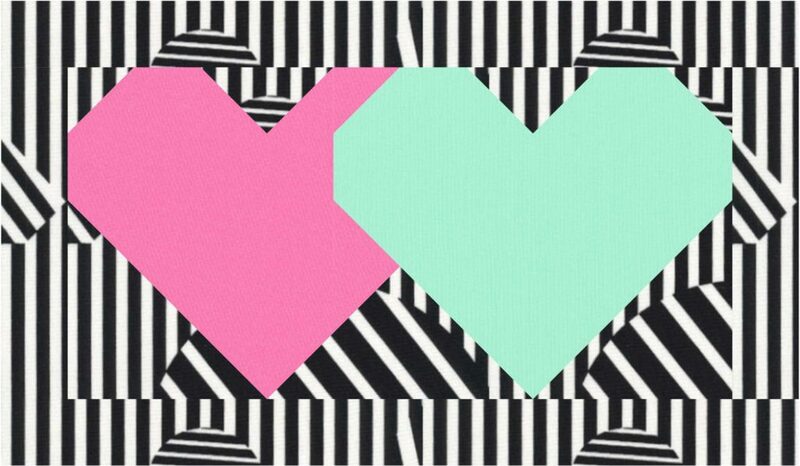 Next week, we’ll be sewing the quilt top together. You guys, we’re almost done!!! 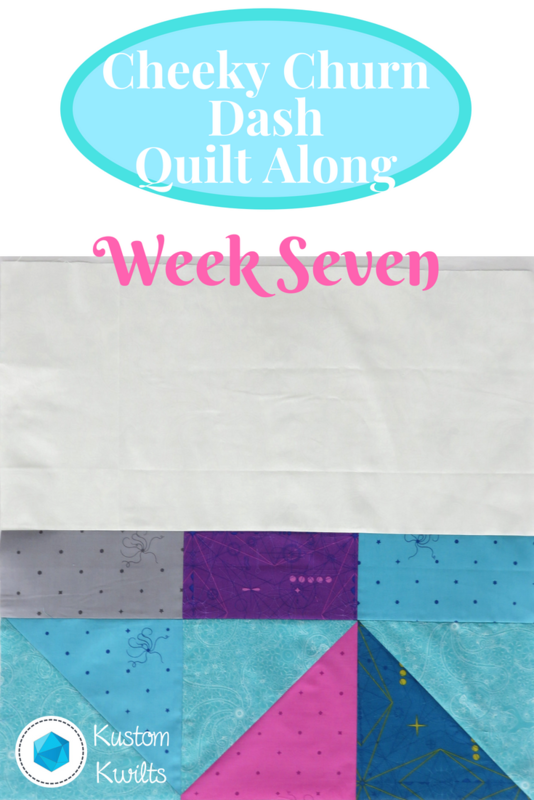 We’re moving right along into Week Seven of the Cheeky Churn Dash Quilt Along! 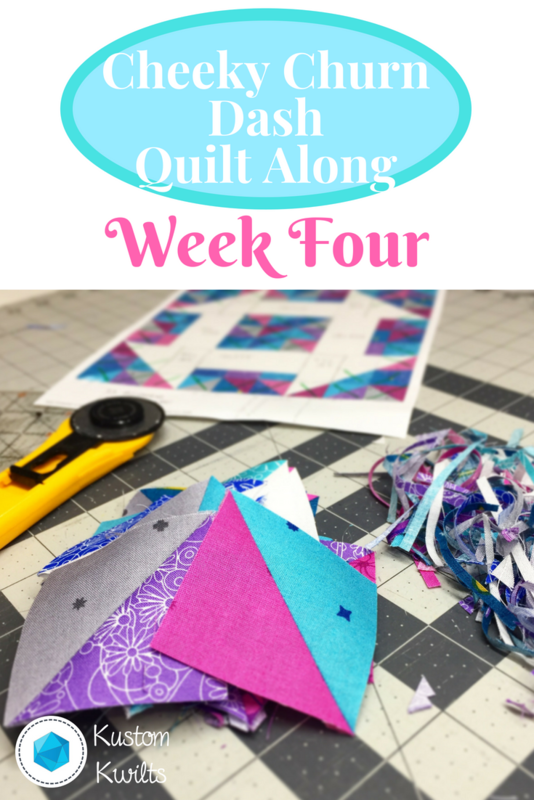 Head over to the Original QAL Post to review the details and schedule, if you need to. Week Six was a catch up week. Here’s the action list to complete for Week Seven! 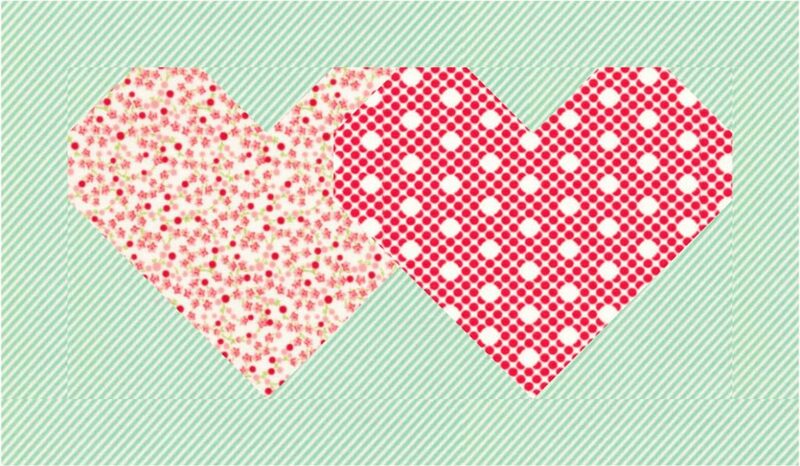 For Option A-we’re on pages 12-13 and Option B-pages 21-22 in your pattern this week. Assemble sections 2, 4, 6, and 8. 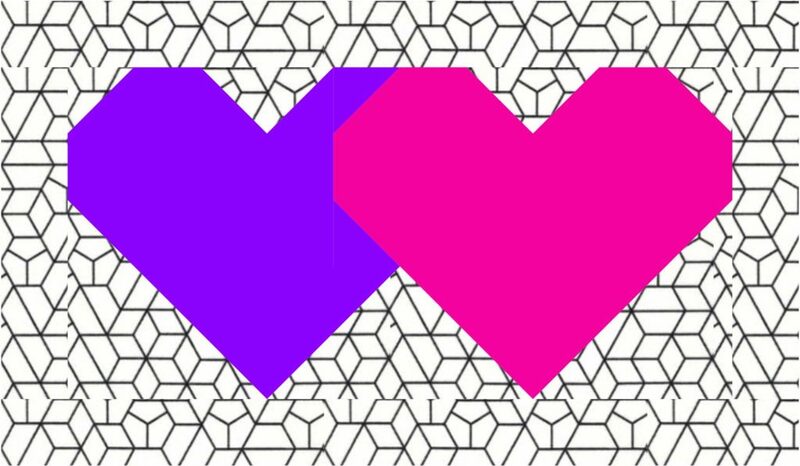 These sections all have the same construction, except they are slightly rotated each time. 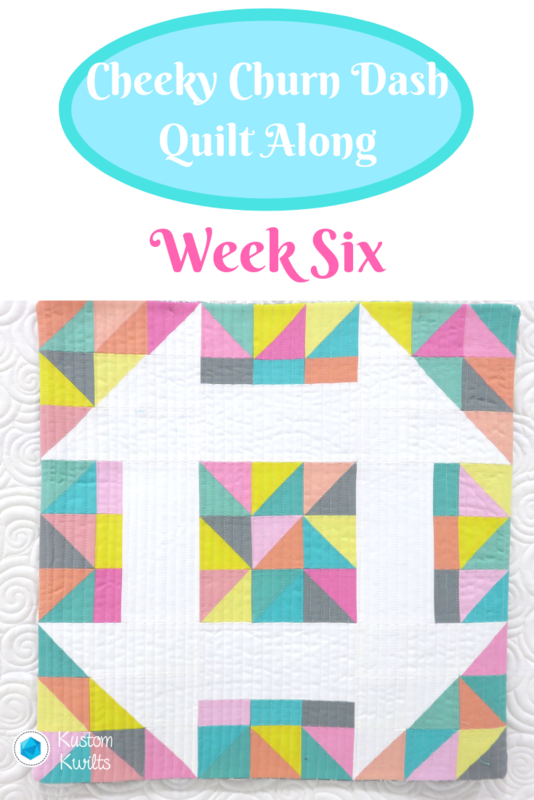 We’re moving right along into Week Six of the Cheeky Churn Dash Quilt Along! Head over to the Original QAL Post to review the details and schedule, if you need to. In Week Five, we assembled sections 1, 3, 7, and 9. Here’s the action list to complete for Week Six! If you fell behind, go ahead and use this free week to catch up with us! If you’re an overachiever–I see you there in the front with your quilt nearly done–You can work ahead, if you like. Just make sure you follow the original schedule (linked at the top of this post) so you have pictures to post to Instagram for the prizes. 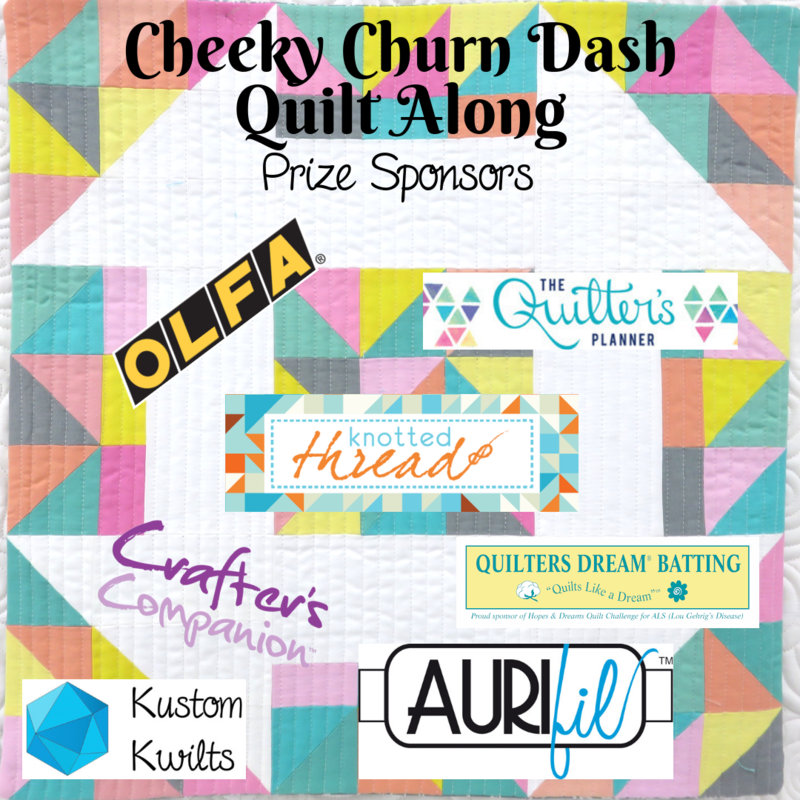 This week, you can post a picture of anything Cheeky Churn Dash related on Instagram using the #cheekychurndashquiltalong hashtag. Be sure you post your IG picture with the hashtag before the start of Week Seven to qualify for this week’s prize. 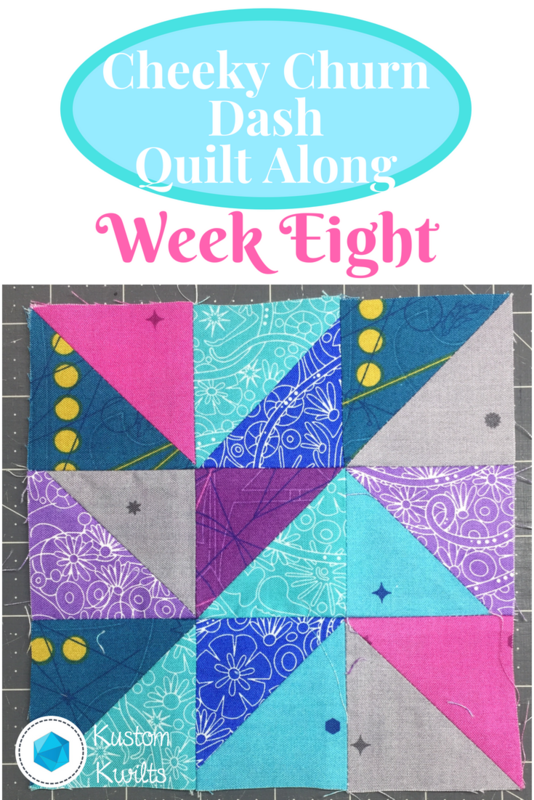 Week Six’s prize is sponsored by Aurifil. 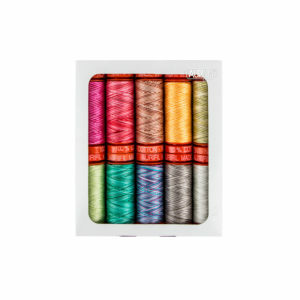 The amazing folks at Aurifil are giving away a small spool thread set, and man…their thread is top notch. 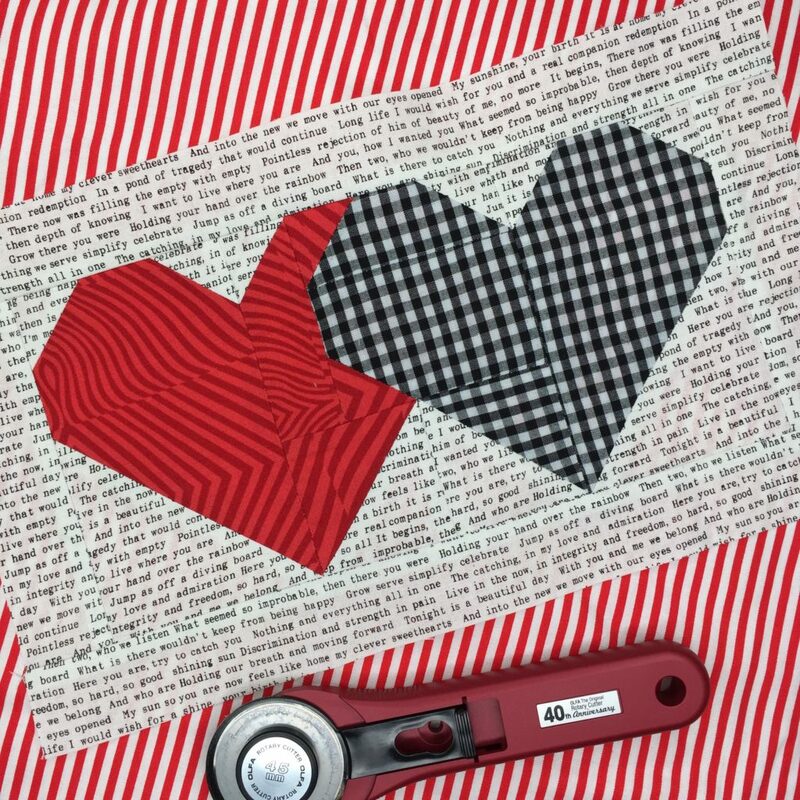 A huge thank you to Aurifil for sponsoring Week Six’s prize! Next week, we’ll be assembling sections 2, 4, 6, and 8. We’re moving right along into Week Five of the Cheeky Churn Dash Quilt Along! Head over to the Original QAL Post to review the details and schedule, if you need to. In Week Four, we squared up and trimmed all our HST blocks to the correct size, based on the selected option. Here’s the action list to complete for Week Five! 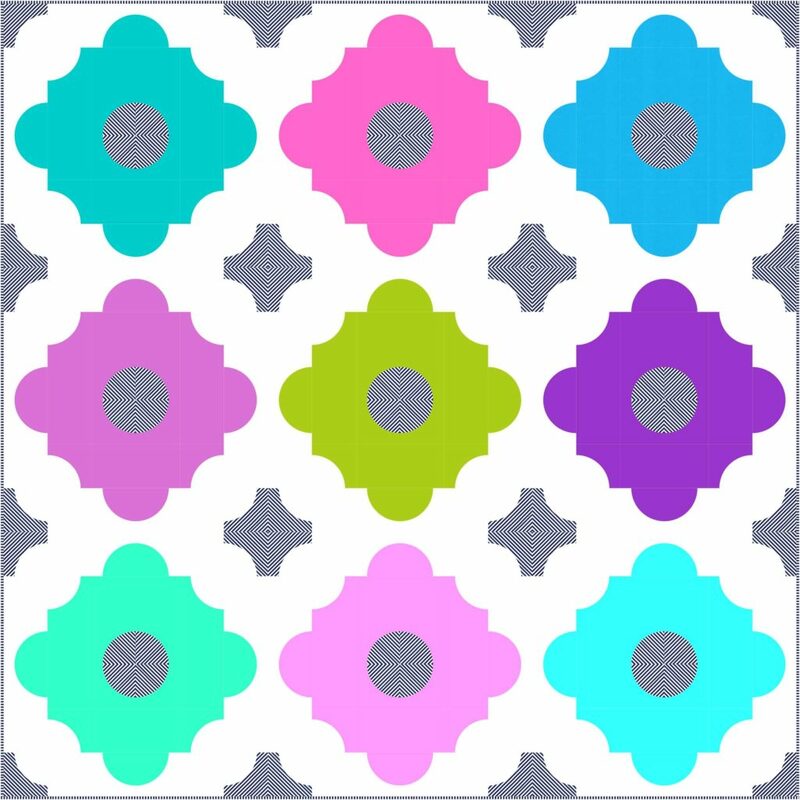 Take a look at your coloring sheet–if you have a specific layout in mind for your HSTs. 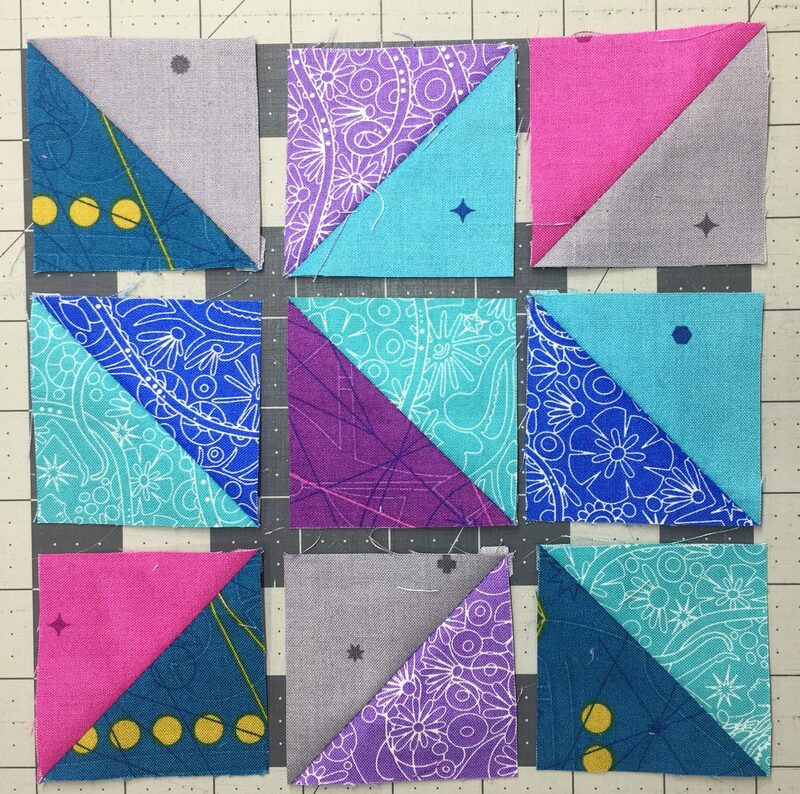 I like to have a pretty specific plan for my Cheeky Churn Dash before I start sewing, so I lay out the HST blocks for section 1 (we’re on pages 8-11 for Option A, and 19-20 for Option B in your pattern), then sew them together and press. Assemble sections 1, 3, 7, and 9. 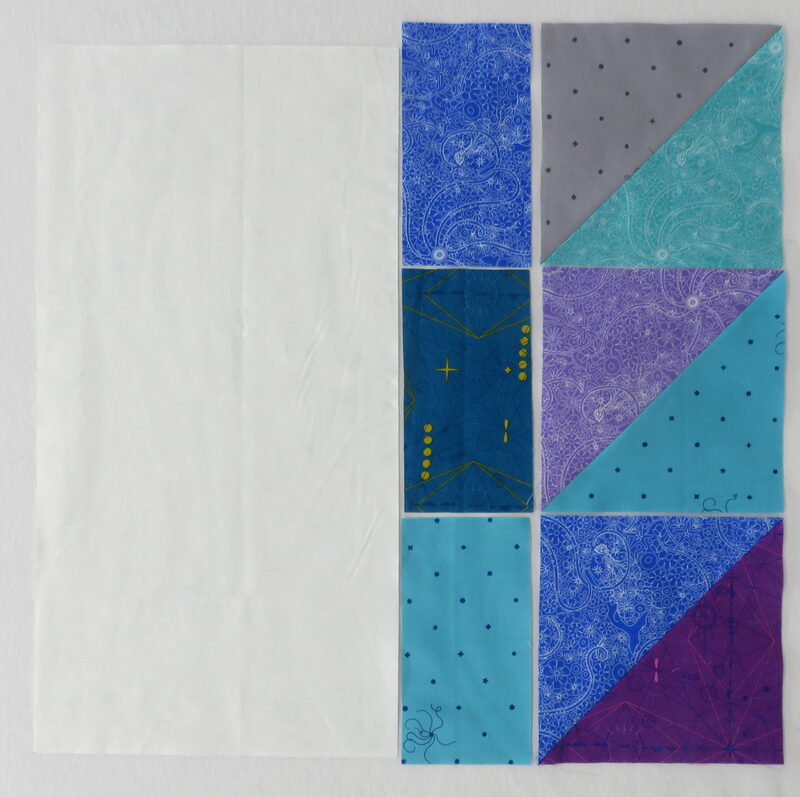 These are the outermost corners of your quilt. 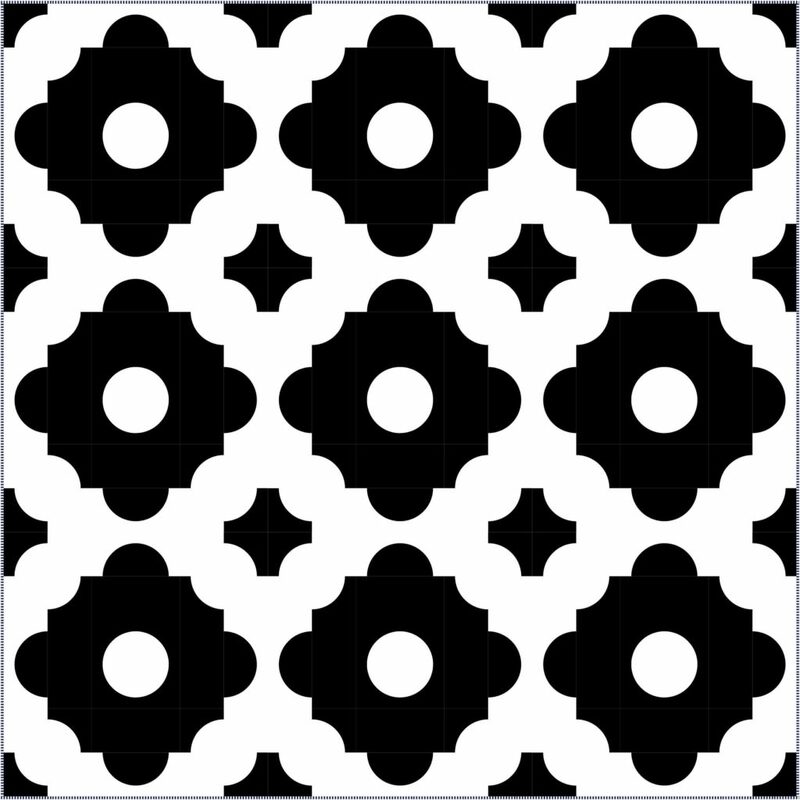 They all have the same construction, except they are slightly rotated 90 degrees each time. 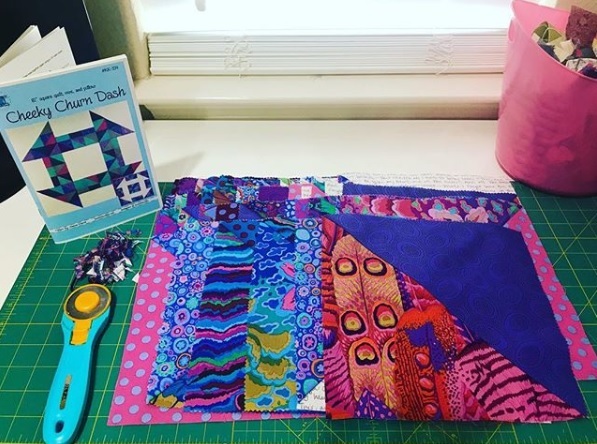 This week, post a picture of your completed sections 1, 3, 7, and 9 on Instagram using the #cheekychurndashquiltalong hashtag. The sections can be all in one picture, or you can do multiple pics in one post, or multiple posts. As long as all four completed sections are posted, you’ll be good to go. Be sure you post your IG picture with the hashtag before the start of Week Six to qualify for this week’s prize! 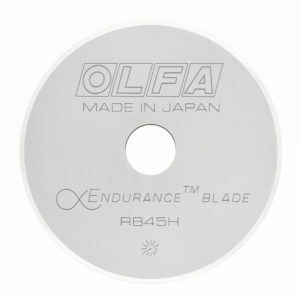 This week’s prize is sponsored by Olfa! I love using Olfa Rotary cutters because they precisely cut whatever I need and have great safety features. I’m so excited that they’ve jumped on board to sponsor a great prize for Week Five.